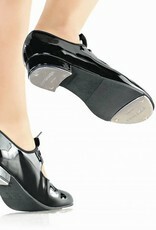 Val is the classic tie-tap with a twist! 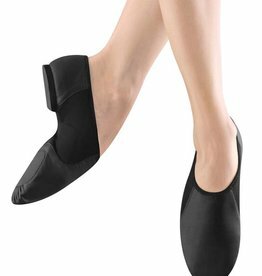 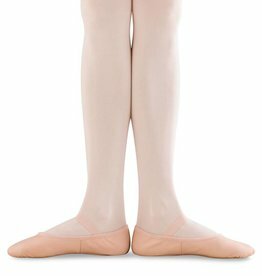 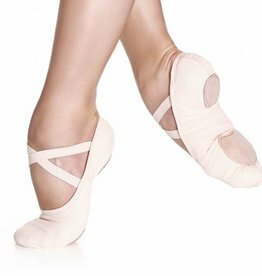 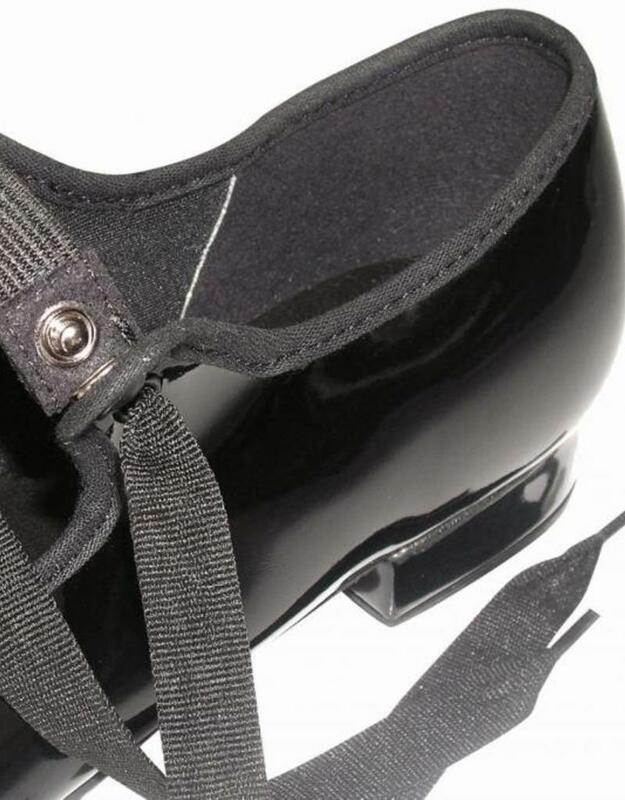 Easy snap-on elastic under ribbon makes for the perfect fit and gives dancers the option of wearing it with or without ribbon. 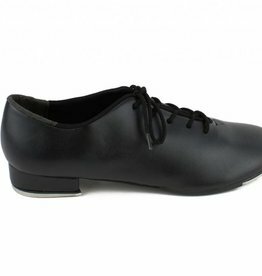 Cushioned insole and man-made upper gives this beginner shoe an excellent heel fit. 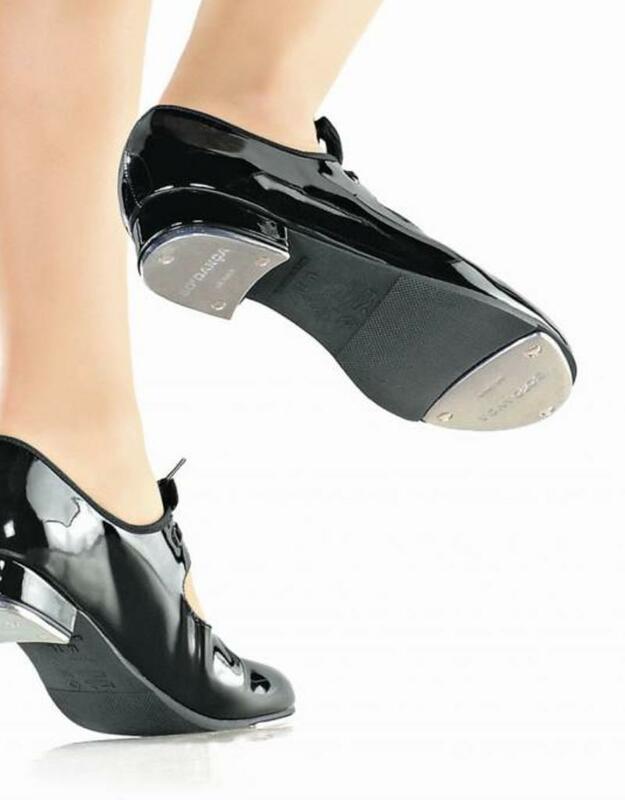 Riveted taps come attached and will keep your dancer tapping for hours to come! 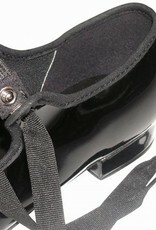 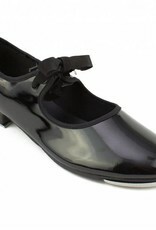 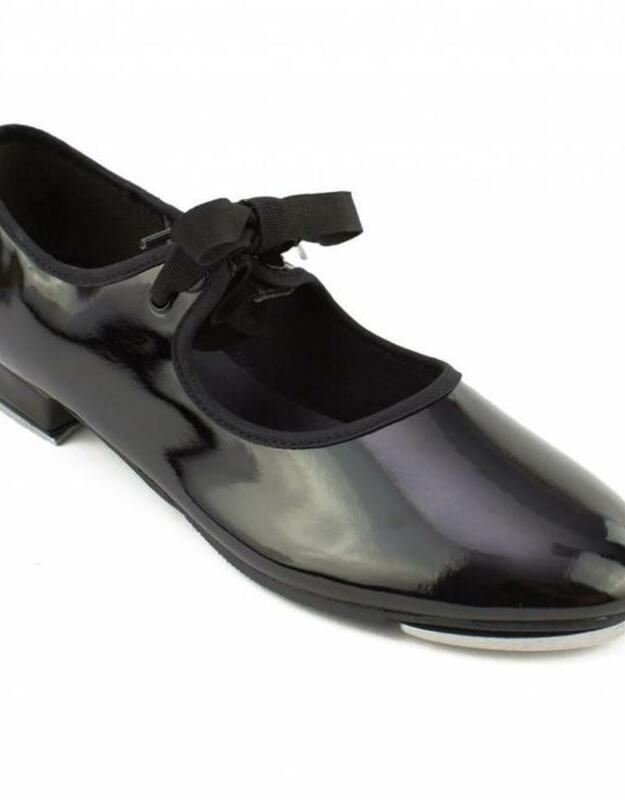 Available in Narrow, Medium and Wide widths to accommodate all foot shapes.